Chambers told investors that he's encouraged by the "good signs" he sees in the economies of the United States and the rest of the world. Several traders on StockTwits shared that view. Cisco's gear helps build the computer networks and infrastructure that power some of the world's largest corporations. Chambers used to be able to move the market with calls about tech spending. But investors clearly want more than just cheery talk in a market where major indexes are already up between 15% and 17% for the year. $CSCO reminds me alot of $GE. Both have no more Juice to move a market..
Cisco might not give rocket fuel to the rest of the market, but its internal juice was pretty tasty to most investors. 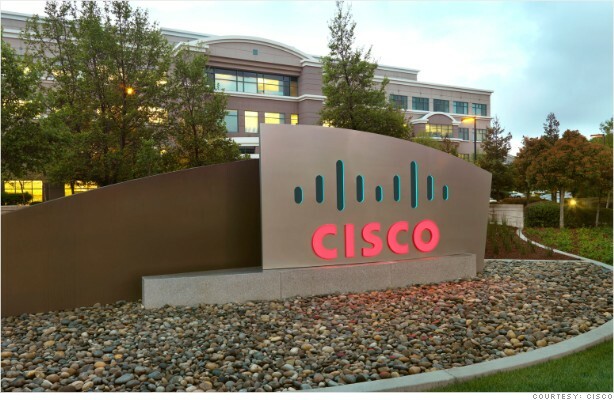 Few traders on StockTwits were willing to bet against Cisco Thursday.